Some people believe that our happiness depends on how much money we have. Others say that ‘money cannot buy happiness’. 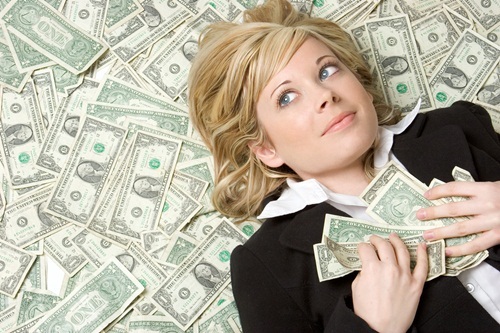 Do you think that having money is the key to happiness, or are there more important factors? Give reasons for your answers and include any relevant examples from your knowledge or experience. Write at least 250 words. Everybody needs money. We spend eight hours a day or more earning it so that we can pay our bills and buy essentials. We also need it to pay for the luxuries that we all enjoy, such as a cinema visit or a meal in a restaurant. Is money therefore the key to happiness? It is certainly true that it can buy us comfort and security. However, this is not the same as being happy. There are many wealthy people in my country. These include football players, actors and rock stars. If they are happy, they do not seem to show it. In fact, if you believe the newspaper stories about them, many are often rude and aggressive. This is not the sort of behavior that we associate with happiness. Therefore, if happiness does not depend on money, what factors does it depend on? This probably depends on the individual. Some people are happy because they have good friends and enjoy an active social life. Others find happiness by helping others, or by doing a job that they really enjoy. Speaking personally, I am happy when doing simple things like listening to music or going for a walk. Having money, for me at least, does not make me any more or any less happy. In conclusion, I think that there may well be a few cases where someone’s happiness depends on their wealth. However, this is probably rare. For most people, other factors are far more important. As everyone is different, these probably vary from person to person.